We live in New Jersey! 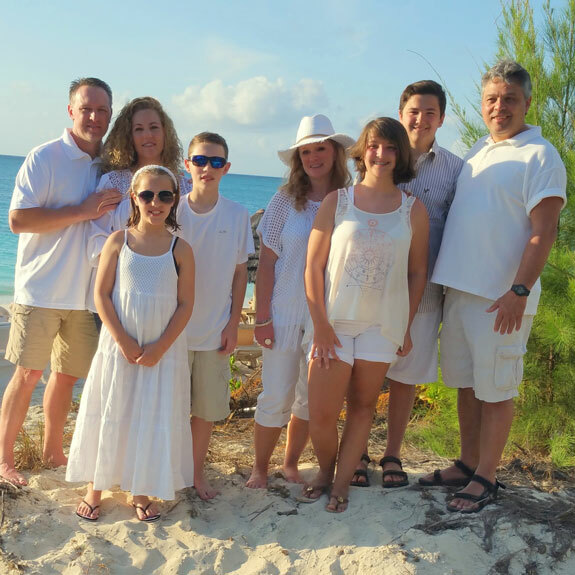 Our two families decided to take a trip together to Beaches Turks and Caicos in the beginning of May of 2016. We had been talking about all the fun we were going to have for months before. My mom went on Trip Advisor and read some reviews. We had been down to Beaches in Turks and Caicos before but she likes to see if there is anything new that people review. Sure enough she found information on someones review about how the Sandals Foundation participates with Pack for a Purpose. We found the website and sent the link to Bella’s mom. Together they felt that this was such a great idea and what a wonderful way to help! We are all very community oriented families: Both Bella and I are Girl Scouts, my brother is a Boy Scout, Bella recently cut her hair and donated it to Locks of Love, her brother Cole recently shaved his head to raise money for Leukemia, both our dads are volunteer firefighters, Bella’s mom serves on our town council, and my mom is my girl scout troop co-leader! So this organization was just a perfect match for our families to participate with when traveling. Bella and I decided as Girl Scouts this was something we wanted to do to help the county in need that we were traveling to. Our moms printed up the supply request list from the website and said that the items would go to a school that needed supplies in the Turks & Caicos. I had lots of supplies that I could donate so I gathered up what I had. Bella on the other hand took it one stop farther and wrote a letter to request donations from her grammar school teachers and friends. We were going to put an email out to alert our Girls Scout Service Unit but we have such a great group of many girls that we would have been flooded with items that we may not have been able to pack!! Bella collected so many items though with her letter that she had to pack it in a separate box and check it at the airport! We printed up the Logo from the Website that said I Packed For a Purpose. 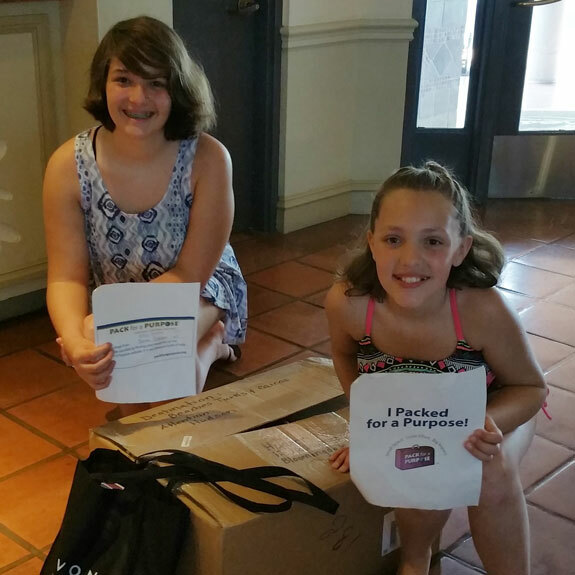 When we arrived at Beaches Resort we first got settled in our resort rooms, then the next day we went to the front desk to donate our items. 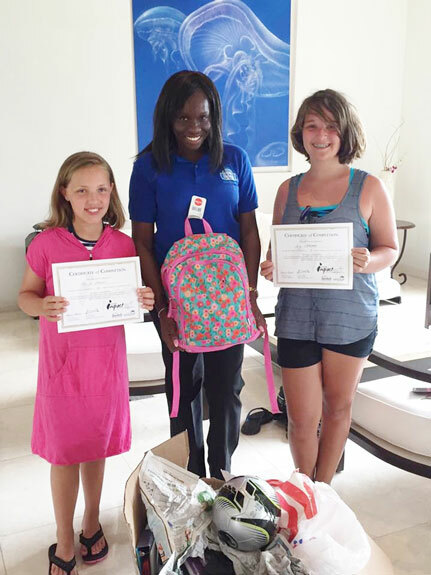 We received a call a couple days later from Elanor Finfin Krzanowski, representative for Beaches Turks and Caicos Sandals Foundation that works with Pack for a Purpose. She wanted to come and meet with us tell us all about the Foundation. She told us which school the items would go to the Ianthe Pratt Primary School and also said at our next visit to the Turks & Caicos we can schedule through the Foundation a road trip into the town and visit a school for a few hours! That will definitely be on our list next time!! She scheduled for us to meet with Principal King from the school and we had our picture taken with her. She gave us a certificate of 10 hours of community service for our help with the donations. We made sure to get the word out after we got back home and sent the information and the picture above to our local Girl Scout Council, Girl Scouts of Northern NJ. They posted it to their Facebook page. Now that we are aware of this organization we can plan and organize more donations for future trips to Turks and Caicos or anywhere else we travel. 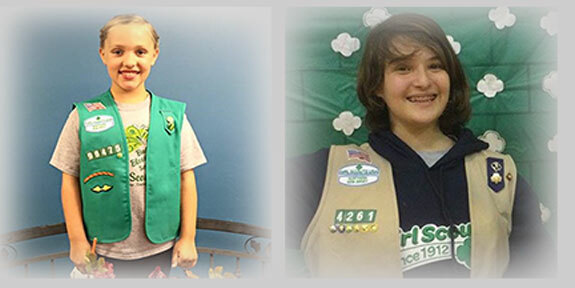 I would like to become part of the Girl Scout Travel Group for Northern NJ. It would be great to have the girls in the travel group make this a standard practice when they travel.